Please spread the message far and wide – especially if you are living abroad. It’s your World Heritage Site too and now the protest has gone global! As well as the petition for those living in Britain there’s now a second one for the rest of the world. Please add your voice to defend one of the world’s most iconic archaeological landscapes. 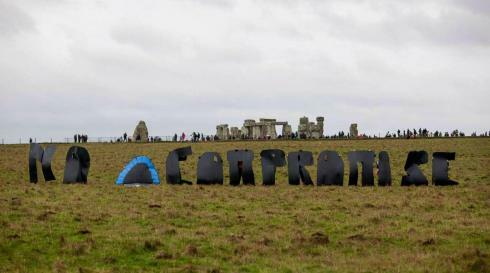 Opposition to the UK Government’s plan to widen the A303 with a 2.9km tunnel close to the Stones is spearheaded by the Stonehenge Alliance, which is supported by the Ancient Sacred Landscape Network, Campaign for Better Transport, Campaign to Protect Rural England, Friends of the Earth, and RESCUE: The British Archaeological Trust. Archaeologists have discovered the earliest settlement at Stonehenge – but the Mesolithic camp could be destroyed if government plans for a new tunnel go ahead. Charcoal dug up from the ‘Blick Mead’ encampment, a mile and a half from Stonehenge, dates from around 4,000BC. It is thought the site was originally occupied by hunter gatherers returning to Britain after the Ice Age, when the country was still connected to the continent. 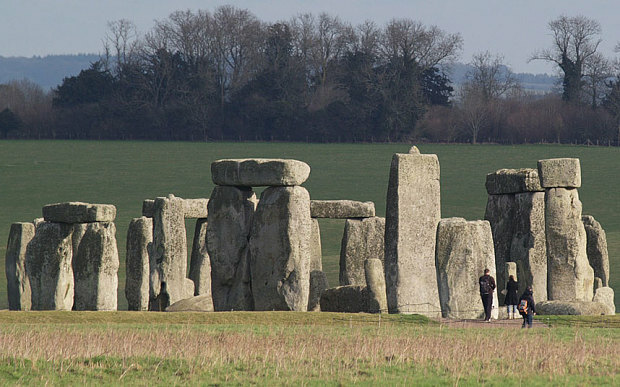 Experts say the discovery could re-write history in prehistoric Britain. There is also evidence of feasting – burnt flints and remains of giant bulls – aurochs – as well as flint tools. The dig has also unearthed evidence of possible structures, but the site could be destroyed if plans for a 1.8 mile tunnel go ahead. Earlier this month David Cameron, the prime minister, visited Stonehenge, in Amesbury, Wiltshire and announced plans to duel the A303 and build a new tunnel to take traffic away from the world heritage site. But archaeologists want more time to assess the importance of the site and record new findings. “The PM is interested in re-election in 140 days – we are interested in discovering how our ancestors lived six thousand years ago,” said archaeologist David Jacques, who made the discovery on a dig for the University of Buckingham. “British pre-History may have to be rewritten. This is the latest dated Mesolithic encampment ever found in the UK. “Blick Mead site connects the early hunter gatherer groups returning to Britain after the Ice Age to the Stonehenge area all the way through to the Neolithic in the late 5th Millennium BC. 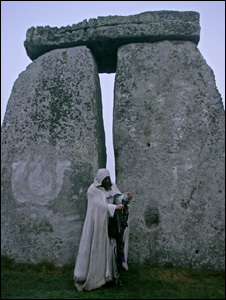 The experts believe that the site could show the Stonehenge was built as a monument to the ancestors of Neolithic Britons. “Our only chance to find out about the earliest chapter of Britain’s history could be wrecked if the tunnel goes ahead,” added Mr Jacques. A previous dig at the site, led by the University of Buckingham, revealed Amesbury is the longest continually-occupied place in the country. They discovered that frogs’ legs from 7,000 years ago were a delicacy here long before the French took a liking to them. Archaeologists believe that early Britons were drawn to the site because of a natural spring. A The combination of a water of a constant temperature and a rare algae also produced the only colour-changing stones, which change from brown to pink, found at any archaeological site in the country. Experts are calling on the government to rethink plans to build on the critically important landscape. Andy Rhind-Tutt, of Amesbury and chairman of the Amesbury Museum and Heritage Trust, added: “Traffic congestion to one of the country’s most visited attractions will not be solved by a tunnel with one exit lane – the current tailback can extend five miles and can take two hours to get through. “Any tunnel would need to be motorway standard, and even with four lanes there would still be tailbacks. 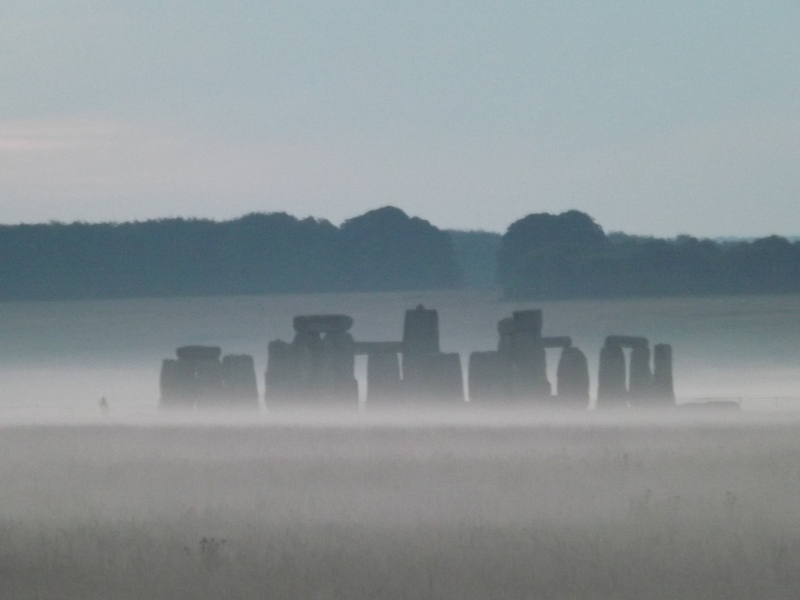 On the midwinter solstice, explore the ancient monuments of the Stonehenge landscape. This walk is around four and a half miles. Today thanks to their extensive programme turning ploughed fields into pasture, you can explore the landscape and follow in the footsteps of the people who built and used Stonehenge. I would really like the Stonehenge A303 problem to be sorted out – and there is a serious problem, as anyone knows who has to drive there regularly. 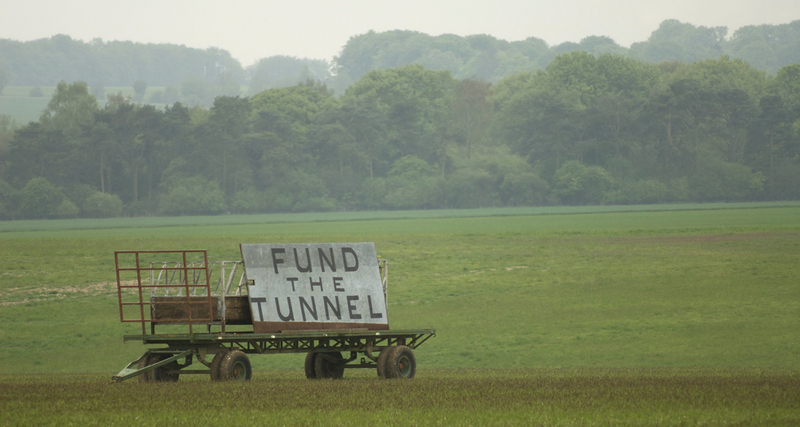 Tunnelling has to be part of the solution, for it would achieve what nothing else could, the removal of an impermeable barrier across the world heritage site landscape. So news that the government is ready to fund major works there is good to hear. But let’s save a great deal of anguish, time and money: keep the politics out of it. For those of you new to this story (you wouldn’t think there would be anyone, but to judge from online comments, there are many), here are a few pointers.